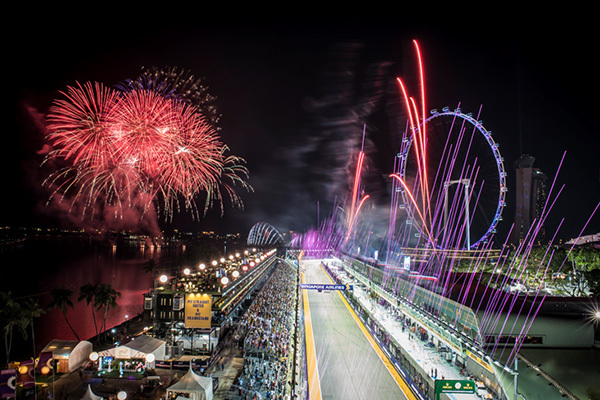 Since the inaugural night race in 2008, the Formula 1 Singapore Grand Prix has produced drama, excitement, spectacle and above all, a spectacular weekend for visitors from around the world. The world class event continues to attract fans from across the globe as a ‘jewel in the Formula 1® crown,’ combining gripping race action with a scintillating all-day entertainment programme featuring international headliners, dazzling productions and delightful roving performances. "This race is always a highlight of the season: a great city which looks really spectacular under the lights with the tricky street circuit below – my favourite kind of track to drive." 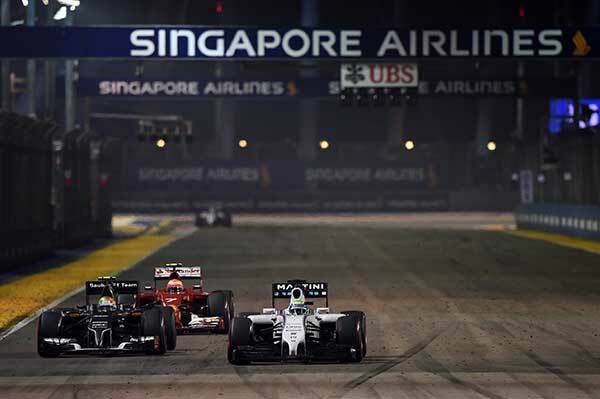 The Singapore Tourism Promotion Board makes a bid to host a leg of the FORMULA 1 GRAND PRIX. Bernie Ecclestone, then vice-president of motor racing’s international governing body FISA, says negotiations are underway for a grand prix to be staged in Singapore in 1992. A 5km track is earmarked to be built near the Bedok army camp for S$20 million. Mr Ong Beng Seng secures a deal to stage a Formula One race here. It does not take off because the Laguna National Golf and Country Club is built on the proposed 126-hectare race track site. 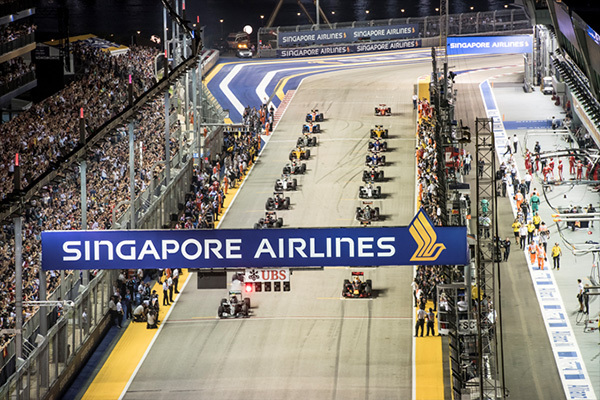 Singapore Tourism Board was "actively looking" at a proposal to bring Formula One to Singapore. 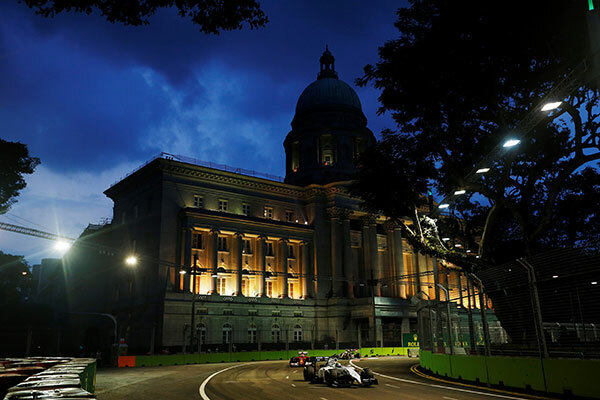 Formula One boss Bernie Ecclestone stated in March that he would consider Singapore as a host for the 2008 season, suggesting a street circuit similar to Monaco’s. 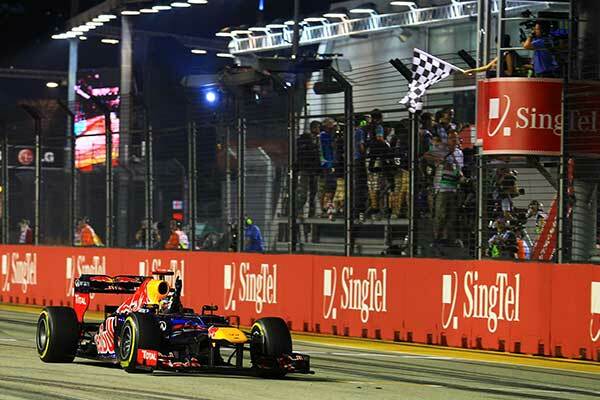 Singapore GP Pte Ltd is established in May, with rights acquired to host Formula 1® in Singapore. A ground-breaking ceremony for the F1 Pit Building was held in August. 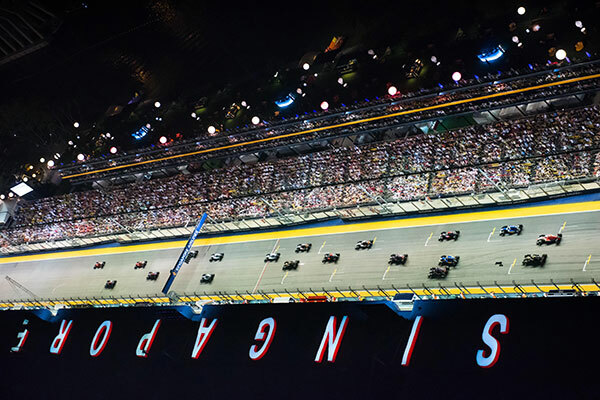 The Fédération Internationale de l’Automobile (FIA) approved in-principle the concept of the first night race in Formula 1® history. 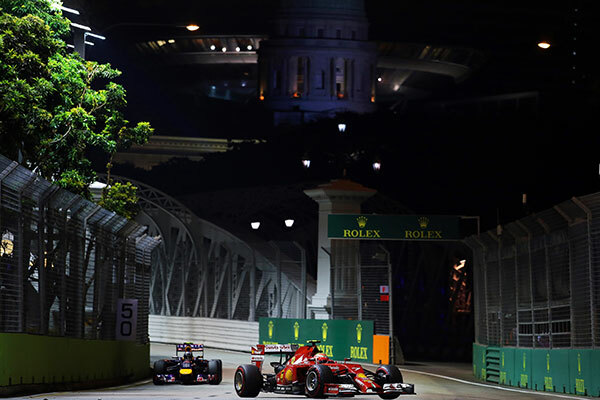 In March, the bespoke, state of the art lighting system that would light up the world’s first Formula 1 night race made its debut along St. Andrew’s Road. 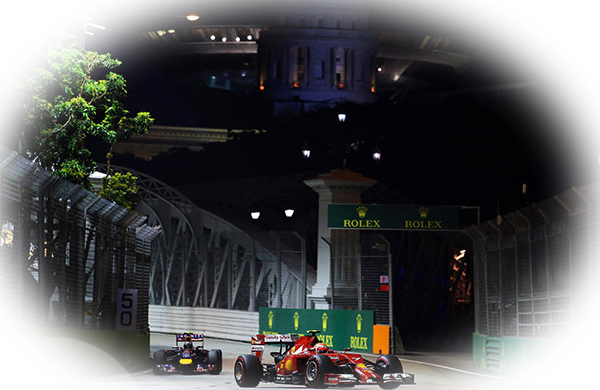 Lighting up the 5.065km Marina Bay Street Circuit required up to 10,000 lamps, with a system comprising more than 1,500 projectors, 134km of power and optic cables and 240 steel pylons. The construction of the Pit Building — the nerve centre for the race — was completed in July, just 10 months after the ground breaking ceremony. 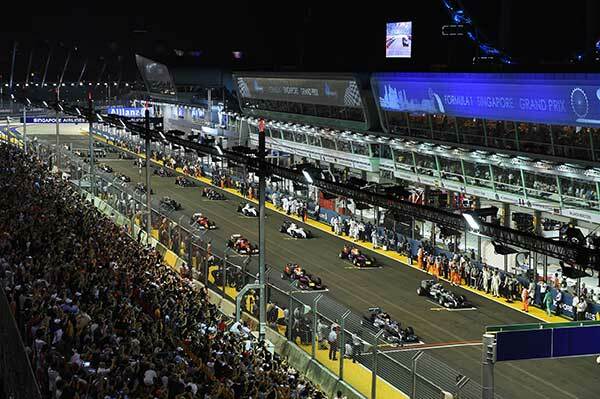 300,000 spectators and more than 100 million television viewers around the world watched the inaugural Formula 1 Singapore Grand Prix which was won by Fernando Alonso. 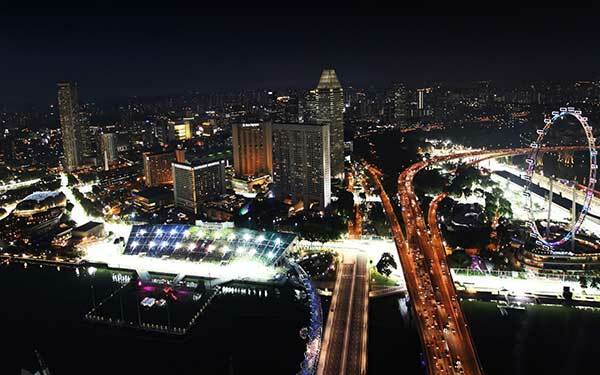 The Singapore Grand Prix venue was named the Motor Sport Facility of the Year by Professional Motor Sport World Expo. Singapore GP also scooped the FIA Promoter of the Year award. Lewis Hamilton took the chequered flag for the second night race. Minor changes were made to Turns 1, 13 and 14 to improve overtaking. The Pit Lane entry and exit as well as the Turn 22 runoff area were also revised. 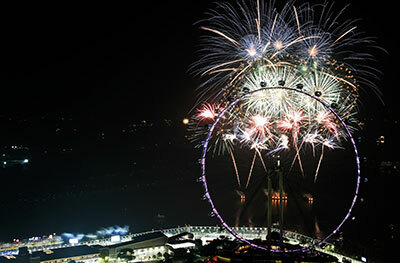 The inaugural event is awarded Breakthrough Contribution to Tourism (Singapore Experience Awards 2009, Singapore Tourism Board). 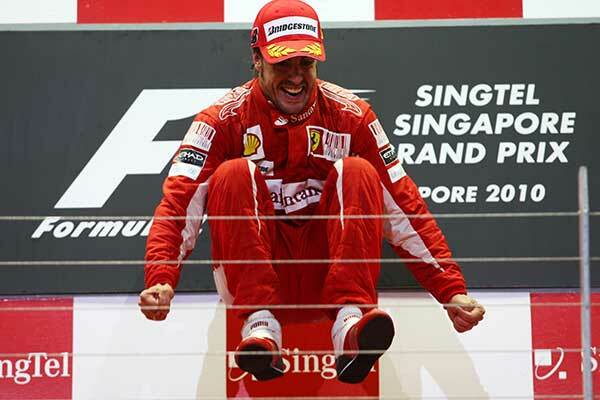 Fernando Alonso won the Singapore Grand Prix for the second time. Heikki Kovalainen bravely put out the fire from the back of his car along the pit straight in the penultimate lap and the dramatic move was voted Autosport Awards’ ‘LG Moment of the Year’. 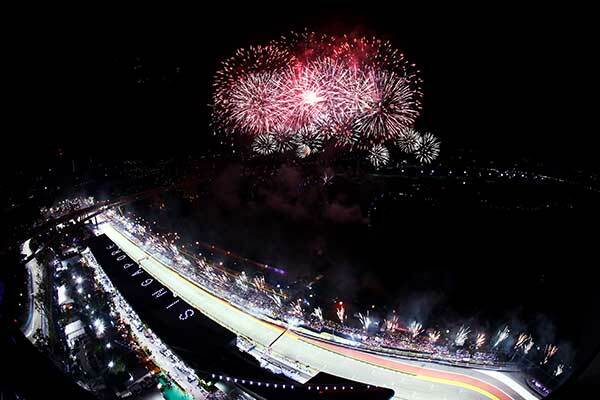 The 2010 Singapore Grand Prix was named Best Global Showcase of Singapore by lifestyle portal CNNGo. 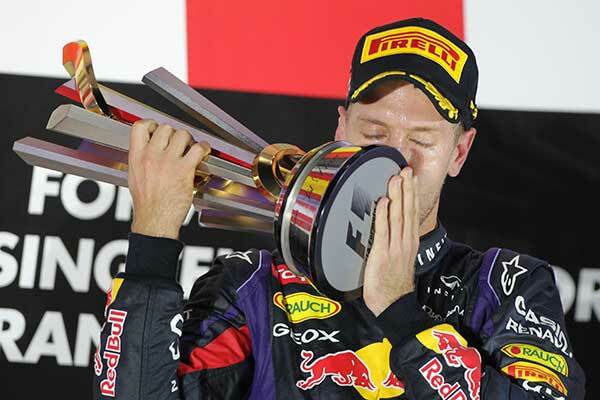 Sebastian Vettel won his first Formula 1 Singapore Grand Prix after taking pole position and leading to the finish, bringing him all but one point closer to his second successive Drivers' World Championship title. 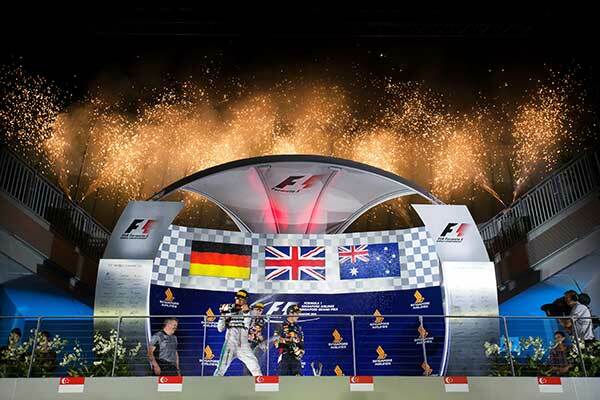 The fourth edition of the Formula 1 Singapore Grand Prix was named Best Sports Event of the Year (International) at the Singapore Sports Awards. 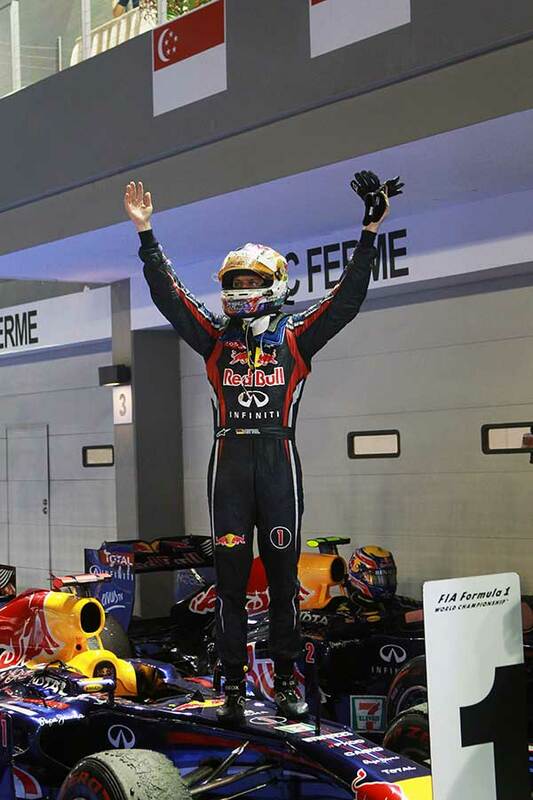 Sebastian Vettel took his second consecutive title at the Singapore street circuit. The fifth running of the night race went beyond the two-hour-time-limit, ending after just 59 laps. 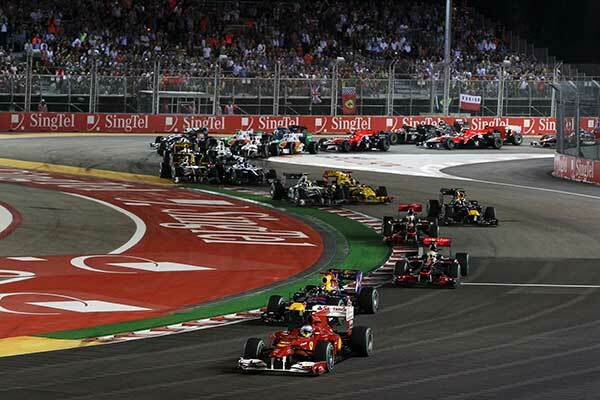 Singapore Grand Prix extended the city’s contract to host a round of the FIA Formula 1 World Championship for a further five-year period, until 2017. Continuing his winning streak here, Sebastian Vettel claims his third consecutive victory from pole position and set the fastest lap on the track. The circuit layout was revised for the 2013 race, with the Singapore Sling chicane at Turn 10 reconfigured into a single-apex left-hander. The race was attended by a record 262,527 spectators, the highest since its inaugural season. 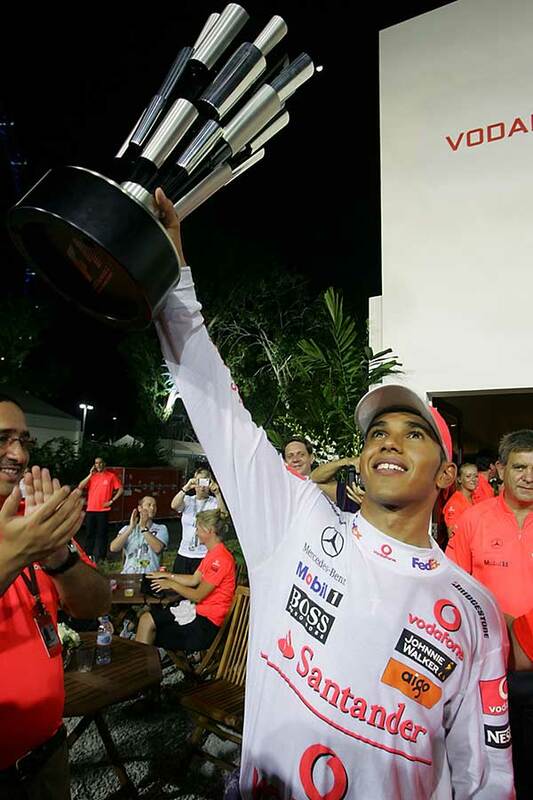 This time Lewis Hamilton scored a hat trick, setting the fastest lap on the track and winning his second Singapore Grand Prix from pole position. 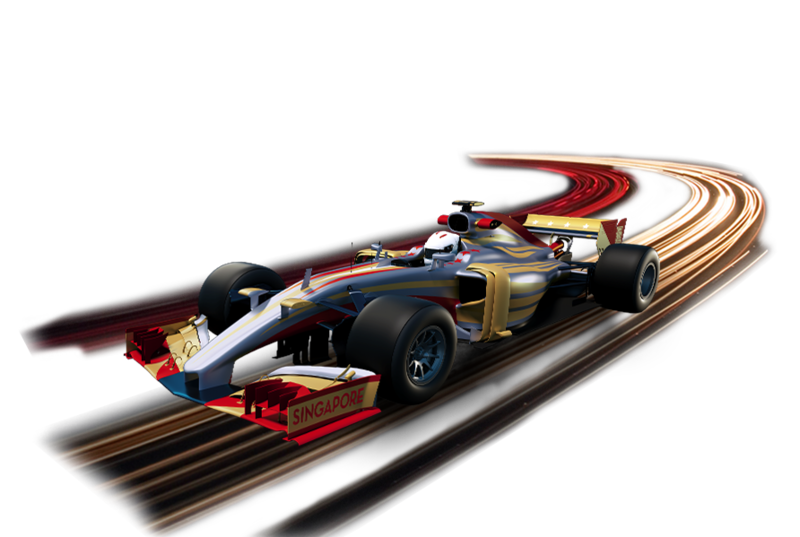 Singapore Airlines came on board as Title Sponsor of the Singapore Grand Prix. Sebastian Vettel, in his first season at Ferrari, took a commanding win at the Marina Bay Street Circuit. 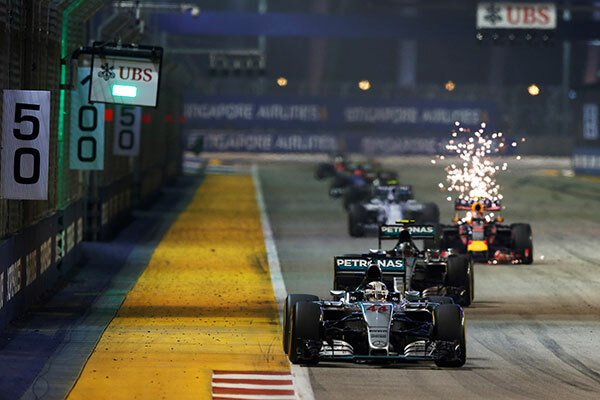 Modifications were made to the track at Turns 11, 12 and 13 to dove-tail with Singapore’s Civic District enhancement plans. 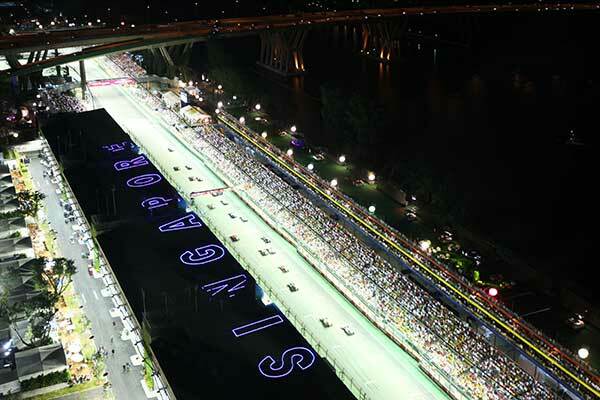 The eighth edition of the Singapore Grand Prix saw the third-highest attendance in the eight-year history of the event, exceeded only by the attendance figures for the inaugural Singapore night race in 2008 and the 2013 edition. 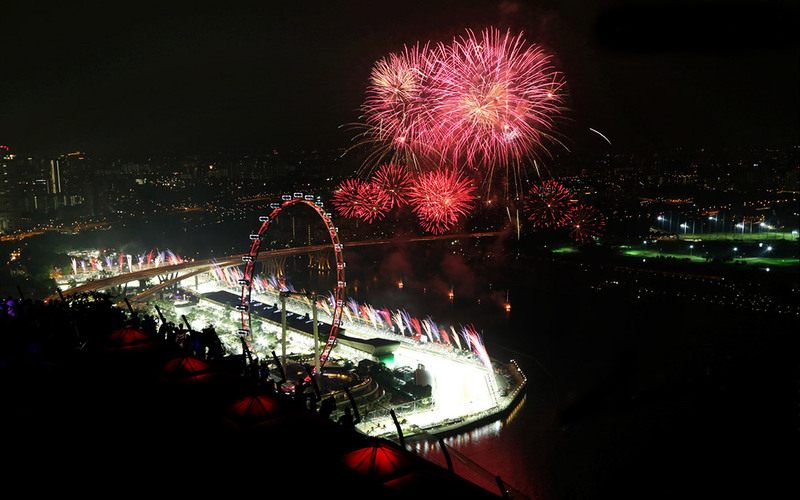 260,912 spectators were at the Marina Bay Street Circuit over the three-day weekend. 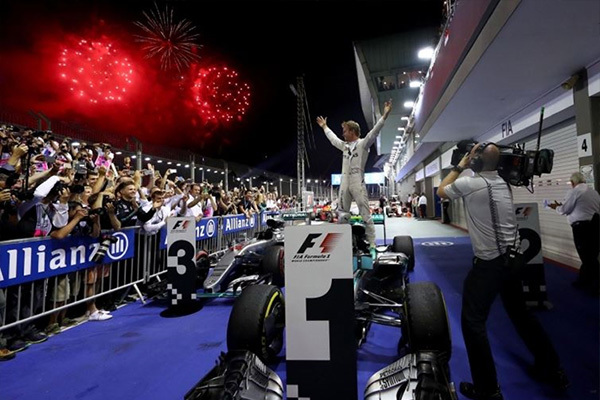 The ninth edition of the Singapore Grand Prix saw Nico Rosberg celebrate his 200th Grand Prix in the best possible way by roaring into the World Championship lead with his first victory at the Formula 1 Singapore Grand Prix. 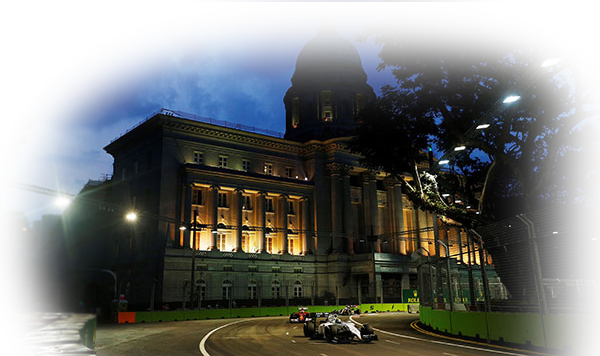 Since the inaugural night race in 2008, the Formula 1 Singapore Grand Prix has produced drama, excitement, spectacle and above all, a spectacular weekend for visitors from around the world. The world class event continues to attract fans from across the globe as a 'jewel in the Formula 1® crown,' combining gripping race action with a scintillating all-day entertainment programme featuring international headliners, dazzling productions and delightful roving performances. 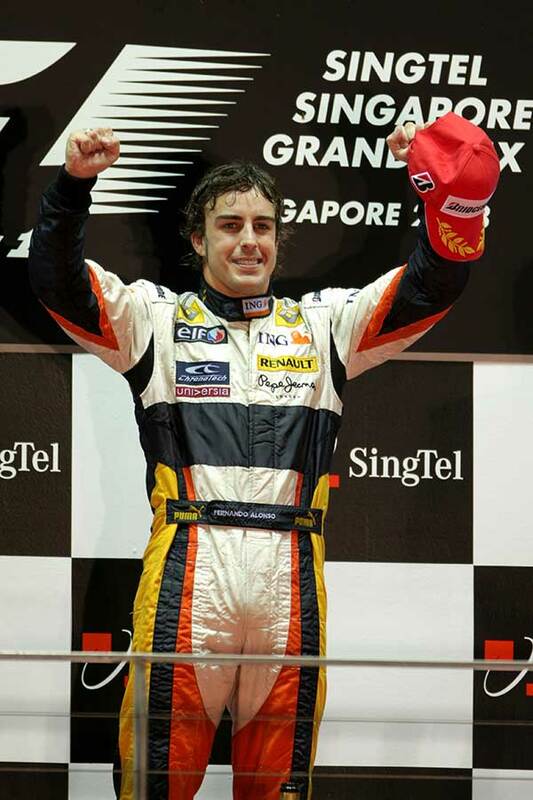 Fernando Alonso won the Singapore Grand Prix for the second time. 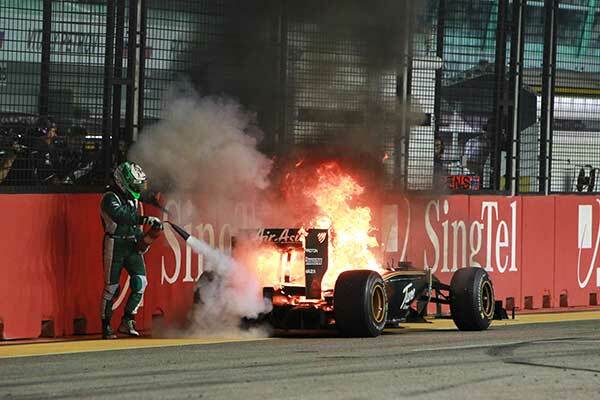 Heikki Kovalainen bravely put out the fire from the back of his car along the pit straight in the penultimate lap and the dramatic move was voted Autosport Awards' 'LG Moment of the Year'. 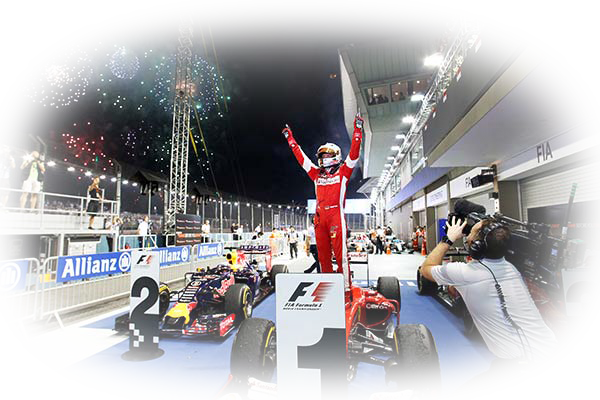 Sebastian Vettel won his first Formula 1 Singapore Grand Prix after taking pole position and leading to the finish, bringing him all but one point closer to his second successive Drivers’ World Championship title.